Someone approaches you and pretends to be a dealer of some good yet relatively cheap ‘touch screen’ phones. He explains the features and lets you try a unit. After a long and very effective sales talk, normally you would return back the unit you just tested and get money from your wallet after deciding you would purchase it thinking it was a good deal. The dealer/thief puts the unit back inside a pouch. 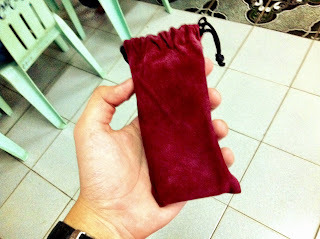 After receiving the payment, he will give you the pouch, say thank you and quickly go away. Since your mind was conditioned to think that you are already holding the ‘touch screen’ phone you just purchased, you probably would not check it immediately. 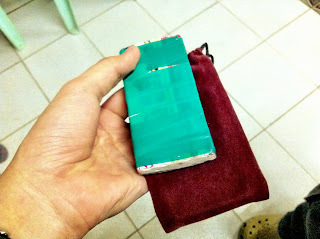 What’s inside the pouch is now a bar of laundry soap wrapped in an electric tape. Slick move by thieves. It’s like doing the classic magician’s diversion technique, eh? Anyway, beware of these things. Better yet don’t buy from anyone who just approaches you from nowhere.